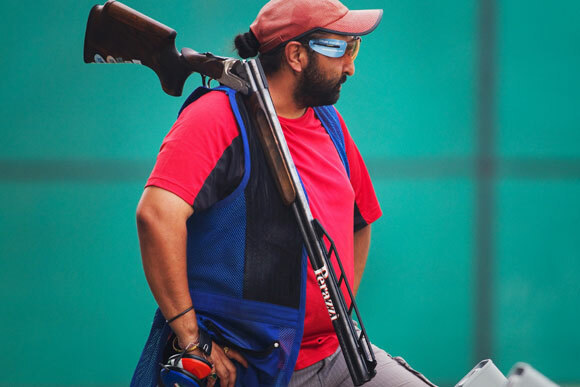 Renowned pistol shooter Jaspal Rana praised army subedar Vijay Kumar for clinching an Olympic silver medal, but felt the over-hyped build-up to Abhinav Bindra and Ronjan Sodhi's participation in the London Games could have affected their focus and led to their failure. 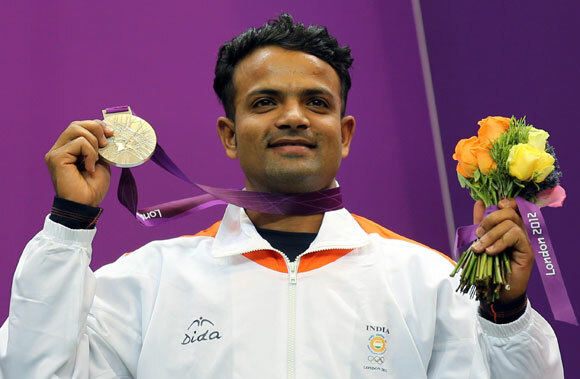 Unheralded Kumar provided the silver lining for India in London on Friday, clinching the second place in the 25m Rapid Fire event, while pre-Games favourites Bindra, the country's first-ever individual gold medallist in 2008 at Beijing, and former world number one, Sodhi, crashed out in the qualifiers of their respective events. "Shooting is mental sport. Vijay has worked very hard, showed great focus. His (Vijay's) participation was not hyped," Rana said when asked what could have gone wrong with Bindra and Sodhi's campaign and what went right for the silver medalist from HP belonging to 16th Dogra Regiment. He also had a word of advise for the media personnel. "They (the media) should work towards the shooters' performance. Reward after a win, not before. And after six months, one has to think of the next Olympics," he said. 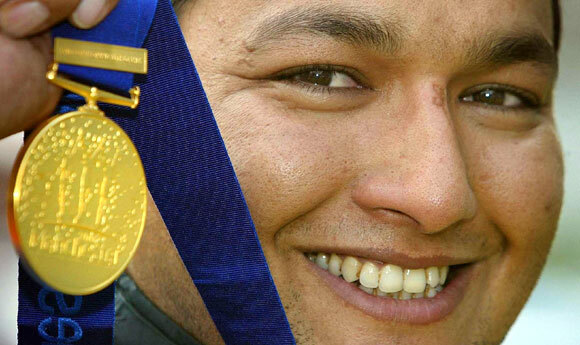 A master centre fire pistol shooter, Rana is a multiple gold medallist at the Asian and Commonwealth Games. While the lack of facilities and exposure were problems areas when he had started out in the mid 90s, Rana is happy to the see the improvement the sport has made over the past few years. "It's quite better now with good coaches being roped in. There are more coaches and good senior shooters helping the others. It's not that difficult anymore (to compete at the top level)," he said. Rana, who showed his class at the 2006 Asian Games in Doha by winning three gold medals and in the process establishing a new world record of 590 in the men's centre fire event, lavished praise on the government, sports ministry and the shooting federation's (NRAI) efforts. "The federation is working very well. There has been a lot of help form the government. Sports Minister Ajay Maken is doing a lot, spending a lot of money. The army is also doing its best; there are better facilities now." Rana felt the shooters should not crib anymore. "The shooters should not complain anymore because the government and federation are doing a lot." He also felt that the country, instead of banking a lot on a couple of shooters for winning medals at the Olympic Games, should strive to win medals in other disciplines as well. "The medals are for the country. They have to work hard and we can have a bunch of gold medals. Why should we just depend on one or two shooters?"